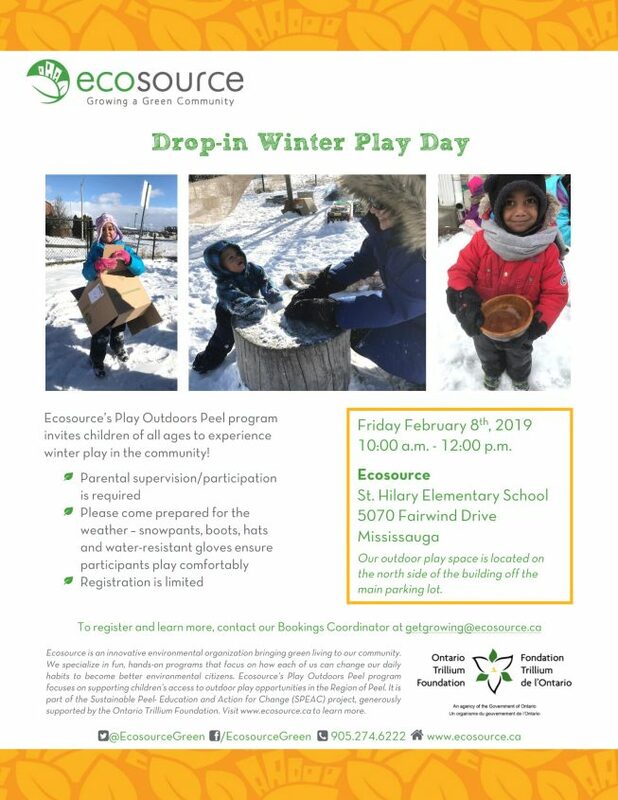 Ecosource’s Play Outdoors Peel program invites children of all ages to experience winter play in the community! Our outdoor play space is located on the north side of the building off the main parking lot. To register and learn more, contact our Bookings Coordinator at getgrowing@ecosource.ca.